You think you are getting a solid night’s rest, but every morning when you wake up you discover you have been sleeping with your arms above your head. What could this mean? Is it a bad thing? Plus, what can you do to stop it? Fortunately, we have done the research and have the answers you are looking for. 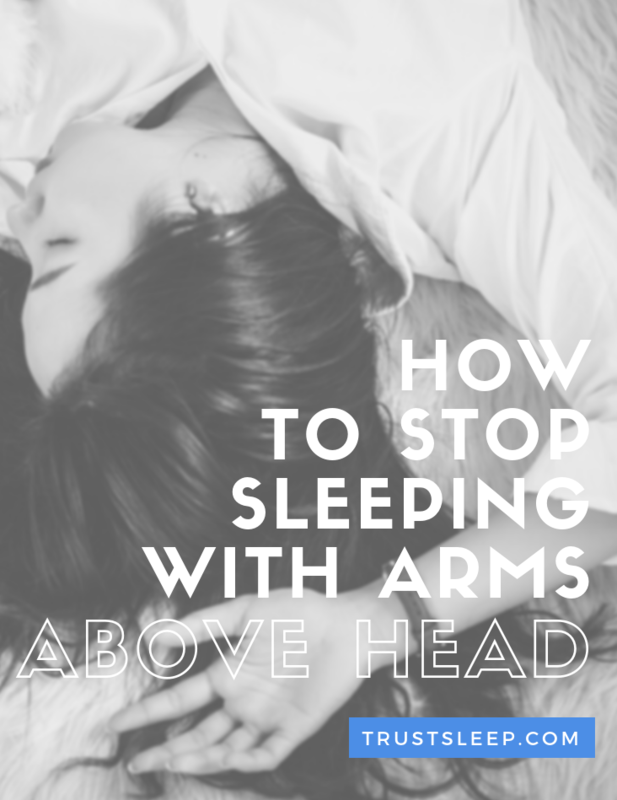 Continue reading to discover how to stop sleeping with your arms above your head. What Can Happen If I Keep Sleeping With My Arms Above My Head? What Else Do I Need To Know About Sleeping On A Bed Wedge? For many people, sleeping with your arms above your head may simply just be a habit that you picked up along the way somehow. Even if it seems silly, you may just find comfort in the repetition of doing this night after night. However, for other people, sleeping with your arms above your head may mean that you are having trouble breathing while you sleep. If you are having trouble breathing at night, the body will naturally move its arms above its head to open up the lungs and promote proper air flow. This means that there is a good chance you are snoring, or well on your way to becoming a snorer. Fortunately, there are a number of great products that you can utilize to both prevent you from sleeping with your arms above your head and help with any airflow problems you are having. Once answer is to use a wedge pillow, which is a pillow that is sloped at an angle. These revolutionary systems help open up airways, remove pressure from the spine, and in many cases can prevent you from placing your arms above your head while you sleep. There are two main reasons why you find yourself waking up with your arms above your head. The first one is simple, and that it is simply a habit that you have formed! The second is that you are having trouble breathing at night, and thus your body is moving the arms behind your head in order to open your airways. Fortunately, there are many products that should be able to help with both of these issues. Although it may not seem like a crucial issue, regularly sleeping with your arms above your head can lead to injuries such as torn or tender ligaments, shoulder pain, etc. Additionally, if you currently dealing with If you are experiencing any of these issues it is crucial to talk to your doctor immediately. 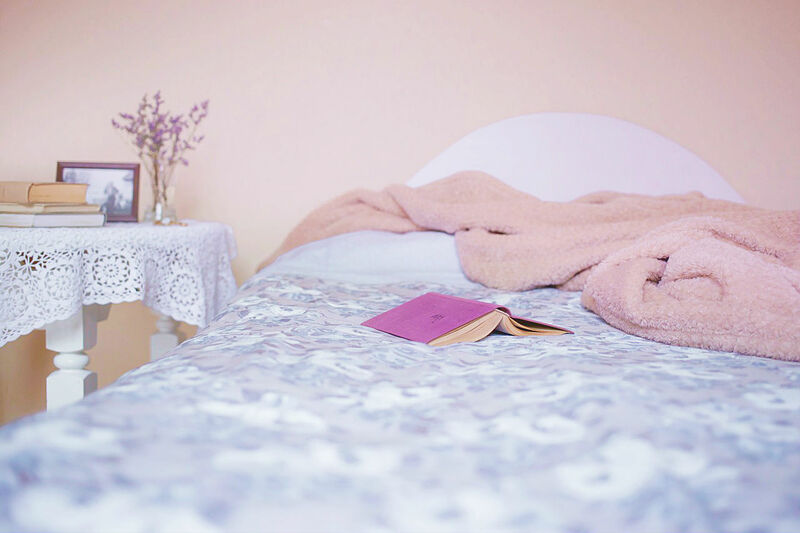 There are a few important things you need to know about sleeping on a bed wedge, or any other specialty pillow on this list. The first thing is that it may take you a few nights to adjust to the bed wedge – there is a good chance it is a unique experience at first that your body will need to adjust to. However, after a few nights, it should feel completely natural. The second thing you need to consider is the size of the bed wedge, along with your own personal sleeping arrangements. This is why we recommend looking at the exact specifications for each bed wedge and pick whichever one is best for you. The third thing you need to know is that wedge pillows can be used to help with a variety of different ailments, including acid reflux, snoring, sinus congestion, and even vertigo. We hope we have helped clear up the mystery of why you sleep with your arms above your head, and we hope you have found this guide to be useful. Feel free to leave a comment below if you have any experience sleeping with your arms above your head, and what you did to stop it. Keep in mind this website does not provide any medical advice.